Reports have begun to pour in regarding a new ransomware infection currently wreaking havoc in Russia, Ukraine, France, Spain, and several other countries. This highly sophisticated Russian strain is known as Petya or Petrwrap, and it has been advancing on a scale comparable to the recent WannaCry ransomware infection. However, unlike WannaCry, this strain lacks both the errors WannaCry contained as well as lacking a kill-switch. A wide range of businesses have reported being hit with this infection, with victims receiving the following message: “If you see this text, then your files are no longer accessible because they are encrypted. Perhaps you are busy looking for a way to recover your files, but don’t waste your time. Nobody can recover your files without our decryption service.” Sources state that the message appears as red text on a black background, and demands $300 worth of bitcoin in exchange for the decryption key. While it has not been completely confirmed as of yet, Petya/Petrwrap looks to be taking advantage of the EternalBlue exploit, which was leaked by a group known as The Shadow Brokers. If EternalBlue sounds familiar to you, it should – it’s the same exploit WannaCry took advantage of. If you haven’t already, you should be taking steps to protect your business against this exploit by installing the MS17-010 security update from Windows (which you can find here) and checking to see that your systems are fully patched. Like WannaCry, Petya/Petrwrap has the ability to compromise systems that are firewall protected. As this is a true worm, if the infection is able to reach a single computer within your network all of your systems and servers are at risk of becoming infected. Take a moment to remind your staff that they need to be exercising extreme caution at all times when checking their email. If anything even slightly suspicious finds its way into an employee’s inbox, they need to know how to handle the situation and who to alert. All it takes is one mistake for your business to suffer serious damage, and events like this serve as an ugly reminder that a certain level of vigilance is required at all times to keep your business secure. 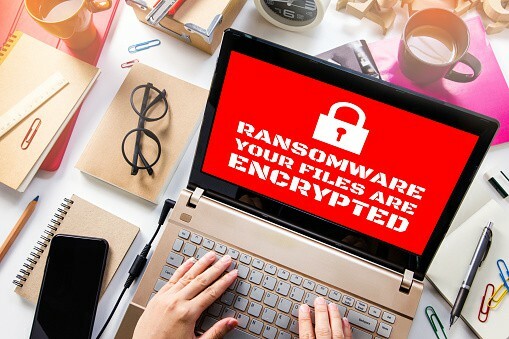 If you have concerns or want to find out more about what you can do to protect your business in the wake of this latest ransomware attack, please contact Invotec right away at sales@invotec.com.au or 1300 Invotec. Our team is here to help.